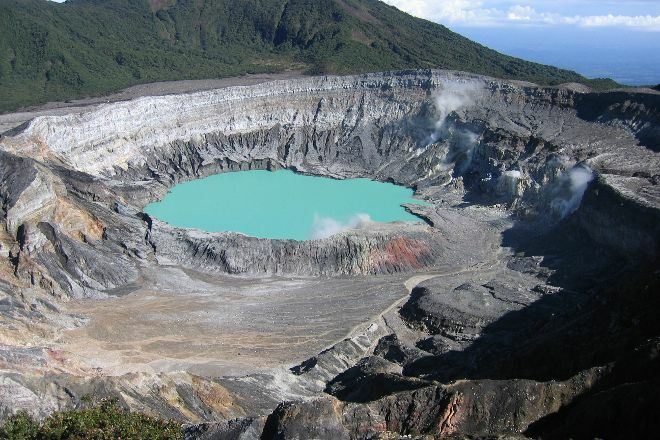 Observe firsthand the geothermal forces that created much of Costa Rica at Poas Volcano. Located within a national park, this active stratovolcano in the central part of the country features a giant crater over 1 km (0.6 mi) in diameter. Although the last major eruption occurred back in the 1950s, on most days you can see mud and water shooting high up into the air. These minor blowouts are caused by deposits of liquid sulphur, which wreaks havoc on the surrounding ecosystem. Just south of there you can see an inactive crater filled by a lake and surrounded by lush cloud forest. Begin your visit at the wheelchair-accessible visitor center, which marks the starting point of one of the park's main trails. Wear shoes suitable for rugged terrain, and keep in mind that due to its location above the frost line, the park often experiences below-freezing temperatures. 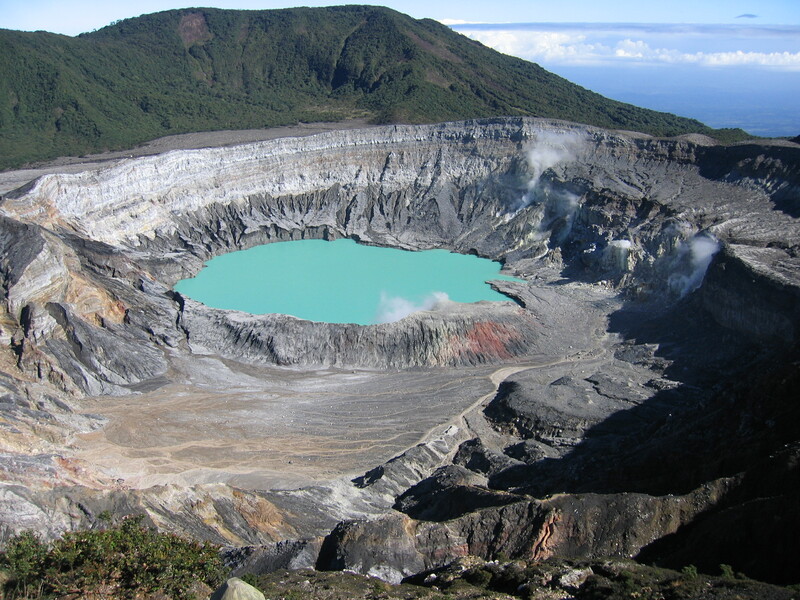 Using our custom trip planner, Poas Volcano National Park attractions like Poas Volcano can form part of a personalized travel itinerary. For about 4 Months you can only visit and admire the volcano Poas with a Reservation. The Reservation and Tickets can be made and purchased at a Restaurant 4 KM in front of the Visitor Center (on the left side of the Street). There must be no more than 50 People in the park at the same time due to the Increased volcanic Activity. At the Visitor Center you get a Helmet and you then go closed with a Group to the Volcano's Edge. There you can spend 25 Minutes lingering and photographing. Then you have to go back to the starting Point as a Group. Ideally, you go early in the morning, as chances are that the Volcano is not encased in the Fog. I thought pricey at $45 each for 20 minutes at the volcano. Visit centre closed also. But great views. The charge $15, but they cannot afford to have a ticket office at the volcano, but you have to buy the ticket online. When you do and the volcano is closed, you will have problems getting back you money. "No, I do not wanna go a different time. I dont have months of holiday you know, to hang around in CR all time." Clearly, a indecent way to make money off tourists. Skip this sight, not worth it.